The issue of faith arises in almost every area of human existence, so it is important to understand its multiple meanings. For many of us, a question that needs to be answered is “Am I a person of faith?” The answer is almost always affirmative. 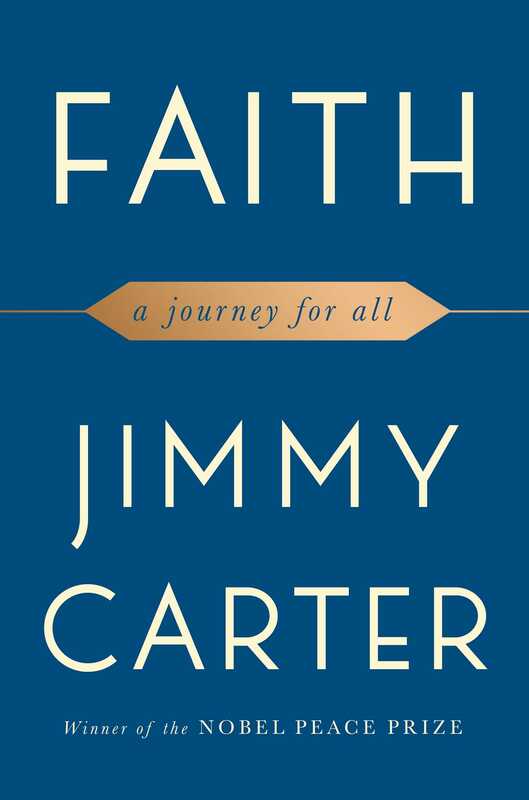 In this book, my primary goal is to explore the broader meaning of faith, its far-reaching effect on our lives, and its relationship to past, present, and future events in America and around the world. I also emphasize the religious aspects of faith since this is how the word is most often used, and I have included a description of the ways my own faith has guided and sustained me, as well as how it has challenged and driven me to seek a closer and better relationship with people and with God. Faith, in both its religious and broader dimensions, influences our individual and communal lives, our lives in religion, and our lives in government and in secular affairs. The most important element of faith ever imposed on me, and on another person simultaneously, involved the threat of the total elimination of human life on earth by a nuclear war with the Soviet Union. My ultimate responsibility as President of the United States was to defend my country against a military attack, and I learned soon after my election that we and the Soviets had enough atomic weapons in our arsenals to destroy each other and that the resulting radiation and other collateral damage would kill most of the rest of the world’s population. This was a constant haunting realization that dominated my conscious hours during my term in office—and I shared the responsibility with Leonid Brezhnev, President of the Soviet Union. Our common goal, of course, was to avoid a nuclear war. Brezhnev and I had to have faith in ourselves, and in each other. Every decision I made was affected by this threat, and it still exists, as the same responsibility is passed on from one president to the next. I believe now, more than then, that Christians are called to plunge into the life of the world, and to inject the moral and ethical values of our faith into the processes of governing. At the same time, there must be an absolute prohibition against granting any control by government over our religious freedoms. 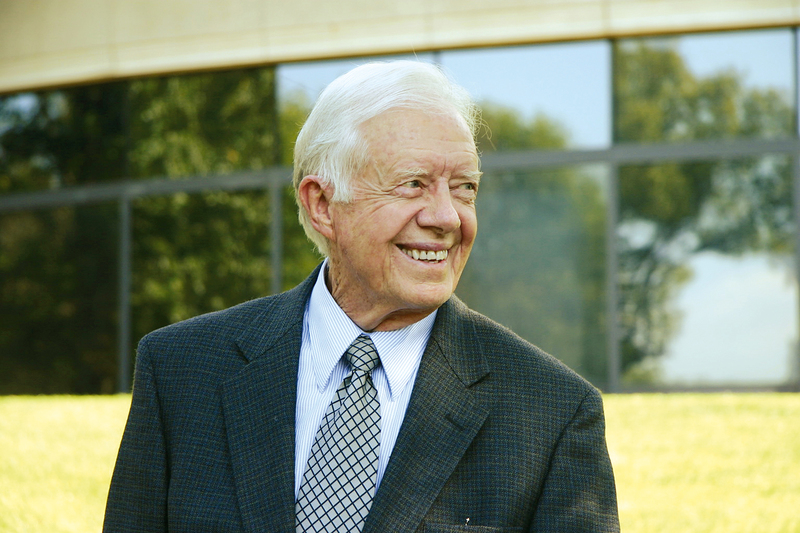 More recently, since our years in the White House, I have tended to move away from politics and toward religion, but the two are still related. There is no doubt that my having been a national political leader is what attracts most visitors to my Bible classes, and it is clear to me that many of these worshippers are eager to help shape our nation’s political agenda. Thomas Jefferson, in the original days of our country, said he was fearful that the church might influence the state to take away human liberty. Roger Williams, who created the first Baptist church in America, was afraid that the church might be corrupted by the state. These concerns led to our Constitution’s First Amendment, which prohibits the establishment of any official state religion and, in the same sentence, prohibits the passing of any laws that might interfere with religious freedom. Separation is specified in the law, but for a religious person, there is nothing wrong with bringing these two together, because you can’t divorce religious beliefs from public service. At the same time, of course, in public office you cannot impose your own religious beliefs on others. In my office at the White House I have to deal with many domestic and international problems: peace, freedom, nuclear explosives, the sale of weapons, terrorism, rapidly expanding populations without adequate food. But this is more than a list of political problems. These are also moral problems for you and me, because they violate the very precepts of God in which we believe. I want our country to be strong enough in all elements, military and otherwise, so we never have to prove we are strong. Reinhold Niebuhr, in his book Moral Man and Immoral Society, pointed out the difference between a society and a people. The expectations from a person are a much higher standard. A person should have as our goal complete agape (self-sacrificial love). The most we can expect from a society is to institute simple justice. So, we as people have to do better, particularly if we are blessed with the opportunity to demonstrate our worth. Leaders also must be careful not to be too timid. . . .
A country will have authority and influence because of moral factors, not its military strength; because it can be humble and not blatant and arrogant; because our people and our country want to serve others and not dominate others. And a nation without morality will soon lose its influence around the world. What are the goals of a person or a denomination or a country? They are all remarkably the same: a desire for peace; a need for humility, for examining one’s faults and turning away from them; a commitment to human rights in the broadest sense of the words, based on a moral society concerned with the alleviation of suffering because of deprivation or hatred or hunger or physical affliction; and a willingness, even an eagerness, to share one’s ideals, one’s faith with others, to translate love in a person to justice. I was brought up in a family that was stable, cohesive, and remarkably isolated from the outside world, except for the small community of Plains, Georgia. Home was our unchangeable haven, in times of pain or pleasure. There was no doubt that my father made the final decisions, but we all knew that Mama’s influence and opinions were always major factors in the management of our family. There were certain aspects of life, particularly in the running of the household and the raising of my sisters, that were almost exclusively my mother’s purview. Together, our parents were dominant, and we children respected and obeyed them. In fact, I never deliberately disobeyed either of them. It was my mother, then my father, in whom I had absolute faith. Nowadays, most Americans move around frequently and are exposed to many influences, and our environments and customs are multifaceted. But for me as a child, there were just a few sources of knowledge about myself or any other people. Our contacts with the world beyond our community were limited. We didn’t have running water or electricity in our house, so time on the battery radio was restricted, even on the rare evenings when we stayed up after dark. On special nights, keeping our eyes fixed on the radio, we listened as a family to The Lone Ranger, Little Orphan Annie, Fibber McGee and Molly, and Amos ’n’ Andy. My parents would sometimes let me stay up until 8:00 P.M. to hear Glenn Miller’s band playing the current musical hits for fifteen minutes. That was all the outside world I knew. In addition to my family and our close neighbors, all African-American, I encountered other people just through school and the church in Plains. Our prom parties, which parents would support for entertainment and primarily to let boys and girls get acquainted in preparation for future marriages, were orchestrated by the church. Sunday mornings were for Sunday School and preaching at Plains Baptist Church, where Daddy was a teacher and a deacon. I remember vividly that after church we always had the best meal of the week, usually fried chicken, mashed potatoes, hot biscuits, and vegetables from our big garden, followed by pies made from sweet potatoes or fruits of the season. Afterward, our activities were severely limited. There were no stores open, movies in the county seat were out of the question, and shooting a gun or playing cards was prohibited. Fishing in the nearby creek or pond was a close call, but eventually it came to be permitted if done discreetly. It would not have been appropriate, however, to walk down a public road with a fishing pole. My mother and father played cards, mostly bridge, but certainly not on Sunday. At the age of twelve, when I was deemed old enough to drive a car by myself, my sisters and I went back to the church on Sunday evenings for meetings of the Baptist Young People’s Union (BYPU). This was very important, because it was the BYPU that sponsored most of the teenage social events. I need not go on, since the picture is fairly clear. It was a simple, family-centered, deeply religious, working existence, with interracial labor and play on the farm with my black neighbors. All the farmwork was done by humans or mules, and we grew corn as the common fuel for both. I imagine that, except for the radio, automobile, and a hand-cranked telephone, our lives were quite similar to those of our great-grandparents. During those early years, I witnessed the racial discrimination that still survived almost a hundred years after the end of the Civil War. Mandatory segregation of black and white citizens was supported and enforced, at least in the Southeastern United States, by state and federal laws, and was not questioned by anyone of influence that I knew. The only person who paid no attention to these racial customs was my mother, and she treated everyone the same because, I presumed, she was a registered nurse and a member of the medical profession. When I was a child, all my friends and playmates were African-American, and the one who was preeminent at any time was whoever had caught the biggest fish, killed the most rabbits, or could run faster, jump higher, or pick the most cotton in a day. When I rode to our county seat with one of my playmates, we always sat in different railroad cars and at separate levels in the movie theater, attended different schools and churches, and I knew that white students rode in buses and black students walked to and from school. I do not remember knowing that only white adults were permitted to vote and to serve on juries. but we were transformed at that place. friend and friend, race and race. The next event that affected me directly was when I was a submarine officer and President Harry Truman ordained as commander in chief that all our military forces and the U.S. Civil Service end racial segregation. There was no trouble in implementing this command, and all of us on the ship saw the advantages gained by both black and white members of the crew. When our family returned home from the navy in 1953, this commitment to racial equality had become a part of our lives. My father taught me that there should be a strict divide between religion and politics, and he also resented very deeply any intrusion of state or federal laws into our private affairs. I remember that Daddy opposed changing our clocks from “God’s sun time” to “daylight saving time,” and although a staunch Democrat in other elections, he never voted for Franklin D. Roosevelt after 1932, because the New Deal agricultural program provided, to stabilize farm prices, that half-grown pigs (shoats) should be slaughtered and that part of our growing crops of cotton and peanuts had to be plowed up. For many years afterward, Daddy recalled how difficult it was to force a trained mule to walk on top of a planted row to plow it up instead of in the middle to cultivate. I guess that today he would be known as a libertarian. When I look back on my life, I can see how startling the changes have been. Eric Hoffer (1902–1983), the self-educated longshoreman and philosopher, described the years during my childhood as a time of hope, and the time of my adulthood as a time of desire. I knew the Great Depression years to be a time of hope, when the economic situation in America was so bad that everyone believed it could only improve; when things became plentiful, we tended to want not only what we already had but also what everyone else had. Both at my presidential inauguration and when receiving the Nobel Peace Prize, I quoted my favorite teacher, Miss Julia Coleman, who summarized her advice on how to accommodate the uncertainties in our future: “We must welcome changing times, but cling to principles that never change.” I would say that “cling to” meant “have faith in.” I have thought often about Miss Julia’s advice over the years, and especially during some of the most trying times of my life, when I had to decide which enduring principles should be applied to a particular event or situation, and sometimes I use it in my church and college classes and in counseling people who are distressed about current crises that we have to face. Today, of course, family life even in the small Plains community is quite different. Some activities that were once strictly concealed in our “proper” society are probably no more prevalent but are now out in the open. Divorce has become acceptable, even for active church members. Without trying to analyze it too deeply, I see that one of the most significant changes is the relationship between young people and their parents. My siblings and I had an intimate and subservient relationship with our parents until we left home, but now the ties are substantially broken during the early teen years, no matter how much parents want to retain a strong influence over their growing children. The outside world is a much more powerful factor in life, with the availability of rapid transportation, television, social media, and particularly a broader circle of friends (and possibly rivals or adversaries), whose influence often exceeds that of immediate families. But perhaps just as many in today’s world would still like to have certain faith in a core of principles that do not change. Where do we turn now when there is a moral question to be answered? What things in the twenty-first century are the same as they were eighty years ago? We still need a permanent foundation on which our lives can be fashioned. Without a central core of beliefs or standards in which to have faith and by which to live, we may never experience the challenge and excitement of seeking a greater life. We will have ceased to grow, like Jesus, “strong; he was, filled with wisdom, and the grace of God was on him” (Luke 2:40). We must accommodate life’s challenges, some welcome and others quite painful, but we don’t want the verities of our lives to change. We need to have something unshakable in which to have faith, like a mother’s love—something that can’t be changed or destroyed by war, political events, the loss of a loved one, lack of success in business, a serious illness, or failure to realize our own ambitions. We need some foundation on which we can build a predictable and dependable existence. This cannot always be found in either our nation’s laws or our social customs. I would like to say as an American who has been president that the cherished values of our country are constant, but they are not. There are always powerful forces that work against the idealistic principles of peace, truthfulness, equality, justice, and even hospitality, freedom, and friendship. There is a lot of secret maneuvering that is never understood or even known by the public, and a great deal of unpublicized change in the interpretation of laws or the passage of new ones. Some laws violate what seem to be accepted principles and create serious divisions within our society. Also, almost every major religious faith—Catholic, Jewish, Protestant, Islamic—is divided over controversial secular issues like abortion, gay rights, the role of women in society, or even female clothing. But despite the confusion and controversy in secular affairs and among religious organizations, the basic principles I’ve just mentioned have never changed. These are the foundation for our faith. People have always tried to improve their own lives, through communal living and the evolution of secular laws and rules considered to be beneficial, at least to a dominant portion of them. So far as I know, a concerted worldwide effort to encapsulate high ideals into a common agreement has been made only once, and included the nations who had been victorious, or at least neutral, in World War II. This common agreement is known as the Universal Declaration of Human Rights. I remember that I followed the United Nations proceedings in San Francisco very closely as a member of the U.S. Navy, either as a midshipman at Annapolis or from a battleship in the Atlantic Ocean. The key nations that founded the U.N. in October 1945 were the “Big Four”—China, the Soviet Union, the United Kingdom, and the United States—and they were joined by forty-seven others. The overriding objective was to prevent further armed conflicts after more than 60 million people had been killed in the war, and to agree on a set of peace incentives that could prevent warfare among future potential disputants. For many complex reasons, the United Nations’s primary goal of preserving peace has not been reached. Since that time, the military forces of our own country have been involved in conflict with more than twenty other nations, in wars that cost the lives of 10 million people, and the potential for further military engagements remains. As of November 2017, the United States military forces were actively engaged in Afghanistan, Iraq, Syria, Yemen, Niger, Somalia, Jordan, and Thailand. Andrew Bacevich, a retired colonel who lost a son in Iraq, made an accurate comment: “A collective indifference to war has become an emblem of contemporary America.” One major reason for our citizens’ lack of concern about warfare is that most families are not directly affected by these conflicts, since the burden of combat now falls on just the 1 percent of Americans who serve in the military. To live in peace is only one of the key human rights, and in December 1948, when the General Assembly of the United Nations proclaimed the Universal Declaration of Human Rights, it described these principles in thirty brief articles. To the best of their ability, those who drafted this declaration extracted the highest moral and ethical ideals of the world’s great religions and expressed them in secular terms that could be understood by lawmakers and private citizens of all nations. The Universal Declaration promised to all people the economic, social, political, cultural, and civic rights that underpin a life free from discrimination, want, and fear. As with the United Nations’s promise of sustained peace, these promises of human rights have not been realized. It seems that there is a steady reduction in the number of things in which we can have faith. We know that evolution is a global process, usually progressive, that results from the adaptation of living organisms to natural selection and sudden mutations. I believe it has been God’s plan to evolve human beings, and that after thousands of centuries we now find ourselves uniquely endowed with an understanding of who and what we are and have the knowledge and freedom to help shape our own destiny. This freedom to help in affecting our future evolution is a great challenge and opportunity, and it is our inherited duty to contribute to moral and spiritual advancement. It is sobering to realize that the average human intelligence has probably not changed appreciably during the last ten thousand years. In fact, the total capacity of the brains of Neanderthals has been found to be greater than that of modern humans. We also know that the process of learning has greatly accelerated during recent times with our improved ability to share information rapidly. For the first time, we have become aware that our own existence is threatened by things such as nuclear weapons and global warming. These recognized threats are, perhaps, already an ongoing test of our human intelligence, our freedom, and our ability to shape our own destiny. The human challenge now is to survive by having sustained faith in each other and in the highest common moral principles that we have spasmodically evolved, and through mutual understanding and peaceful cooperation in addressing the discerned challenges to our common existence. It is urgent that humans take a new look at the rapidly growing need for the Universal Declaration of Human Rights, the Ten Commandments, the Koran, or the teachings of Jesus Christ and to see if these visions of improved human interrelationships might be used to meet the challenges of the present moment and evolve a future of peaceful coexistence, based on faith in each other.